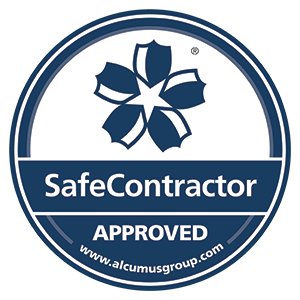 Local business Allcool (NW) Ltd has been awarded accreditation from Safecontractor for its commitment to achieving excellence in health and safety. Employing 24 people, Allcool (NW) Ltd is principally involved in the mechanical sector, specialising in the refrigeration and air conditioning industries. Allcool (NW) Ltd’s most recent clients have included major players such as the Partington Group, Blackpool & Fylde College, Blackpool Council, Bowker BMW, Grand Hotel at Grasmere, Lancaster University, Slater Gordon Solutions, Williams Refrigeration and Metrolink. More companies need to understand the importance of adopting good risk management in the way that Allcool (NW) Ltd has done. The firm’s high standard has set an example which hopefully will be followed by other companies within the sector. Over 210 major, nationwide businesses, from several key sectors, have signed up to use the scheme when selecting contractors for services such as building, cleaning, maintenance, refurbishment or electrical and mechanical work.